Superstar Rajinikanth and Akshay Kumar are now taking part in the 2nd schedule of 2.0 progressing in New Delhi. In the present schedule footbal scenes are being shot and these are said to be crucial in this commercial sci-fi drama. 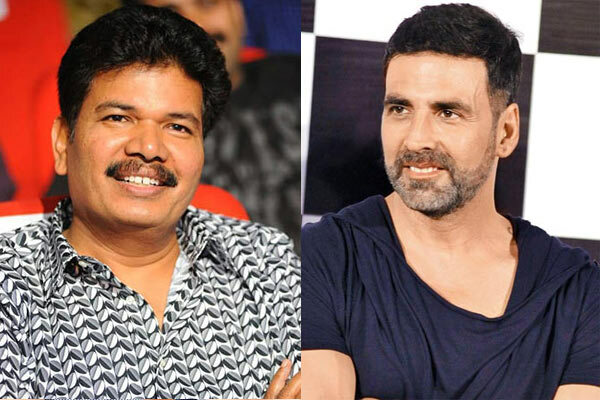 Akshay Kumar who was part of this schedule has received loads of appreciation from the film Director Shankar.
" Happy to shoot with Akshay Kumar - Hard working, disciplined n cooperative actor." tweeted Shankar,. 2.0 film is marked to be an thriller being bankrolled by Lyca Productions and Amy Jackson is the female lead. Write & Share about "Shankar showers praises on Akshay Kumar | 2.0 (2 Point O) Tamil Movie News | Cinema Profile" !